The best buds are trimmed by hand, since machinery tends to beat up the bud, so an influx of workers – “trimmigants” – are hitting the Emerald Triangle. While there are many who do this in their spare time, there are others who are professionals, trimming the weed that you smoke, which includes some migrants. 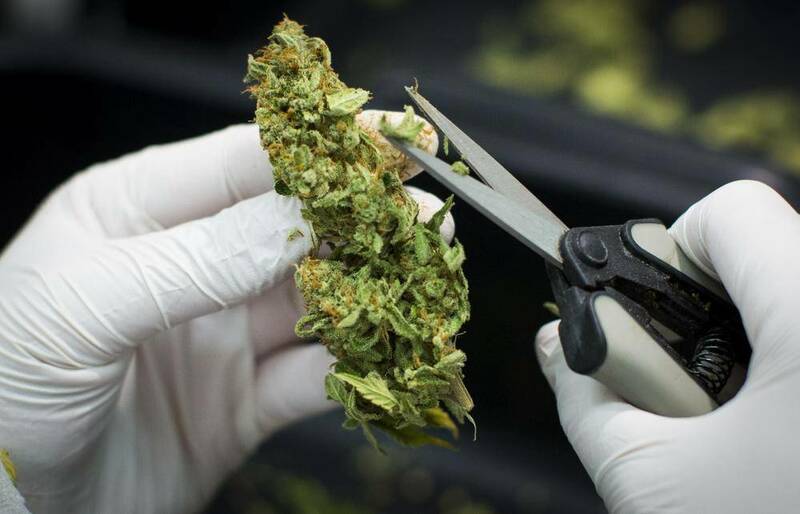 The workers sit for hours, hunched over tables with scissors in one hand and cannabis in the other, doing the tedious work that actually pays quite well. While it’s basically just trimming, the term for the people doing it is “manicurist,” even though some of the “manicurists” aren’t on board with that description. This feature by ABC News begins back in the heyday of free love in the Sixties, which is when the Emerald Triangle (made up of three points that go from Humboldt County to Mendocino and Trinity County) got its start. And with some areas having three generations of growers, well, you could say that it’s a family affair. It is in that area that Mendocino cannabis farmer, Tim Blake, is from. As a life-long local, it has seen him move from a small-time dealer (and cultivator) to activist and big-time farmer. Mr. Blake was raised in the cannabis business, having started as the aforementioned dealer, at just 13 years of age. Obviously, at the time, there was no regulated market. So, while he considered himself an outlaw, he has since become anything but, seeing him as an activist that wanted to see the benefits of cannabis being utilized (especially those battling cancer) and working with law enforcement to make that happen, while making himself a career. But, while it’s being grown by locals that have been doing so for three generations or more, a lot of the trimming is being done by immigrants. As all the best buds are trimmed by hand since machinery tends to beat up the bud and knocks all the kief off, it has seen an influx of workers – AKA “trimmigants” – hitting these three areas, hoping to make some tax-free money. The workers can make as little as $100 a day, but the more talented can do five times as much. This feature explains how the industry, which deals mostly in cash, sees a flow of under-the-table work at the lower end of the business.